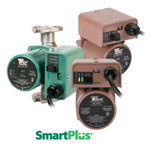 The SmartPlug® is an instant hot water recirculation control that upgrades any existing hot water recirculation system to an energy-saving smart system. Just plug the circulator into SmartPlug, and SmartPlug into any standard 110V household outlet. No programming, timers or aquastats required. 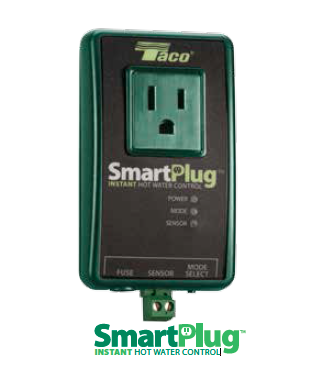 SmartPlug makes any corded circulator in a domestic hot water recirculation system up to 94% more energy efficient. With a sensor that mounts on the hot water supply pipe, SmartPlug technology learns a household’s hot water usage patterns, then delivers hot water when it’s needed for more comfort, reduced energy use and extended water heater life. Quick, easy installation in minutes; no programming, timers or aquastats required.